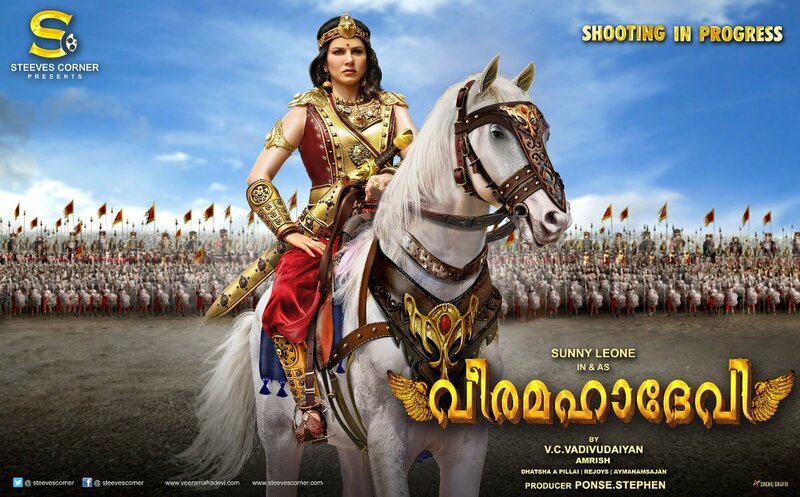 Here comes the first look posters of Sunny Leone’s debut in Tamil, Malayalam and Telugu, the period film Veeramadevi. Veeramadevi is directed by VC Vadivudaiyan and produced by Ponse Stephen under the Steves Corner banner. Actor Navdeep will be playing the villain in the film. Veeramadevi will be released in five languages; Tamil, Telugu, Kannada, Malayalam, and Hindi.